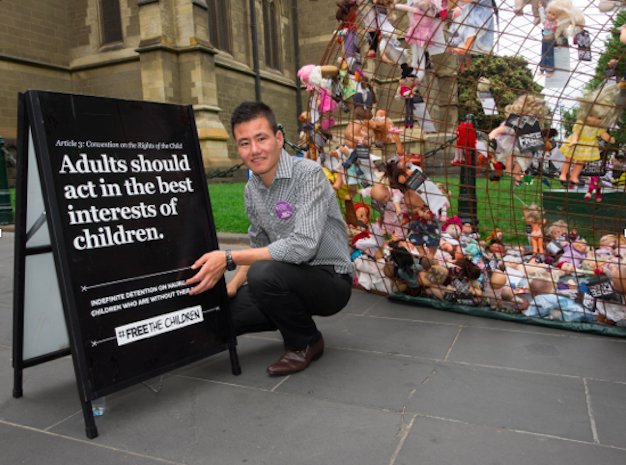 To celebrate the 25th Anniversary of the UN Convention on the Rights of the Child, ECDC members gathered in the Melbourne for the local launch of this #FreeTheChildren campaign cage action, aimed at increasing public awareness of the plight of children in detention. 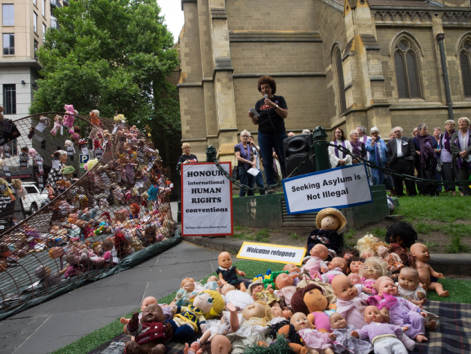 The cage installation was situated on the lawns adjacent to St Paul’s cathedral on Swanston Street in the heart of Melbourne’s bustling city centre.  Former child detainee and refugee youth advocate Bashir Yousafi joined the Melbourne event and shared his experience of nine months in detention when he arrived in Australia from Afghanistan at the age of 14. Read about other ECDC #FreeTheChidren 2014 cage actions here.Or check out our resources page here.